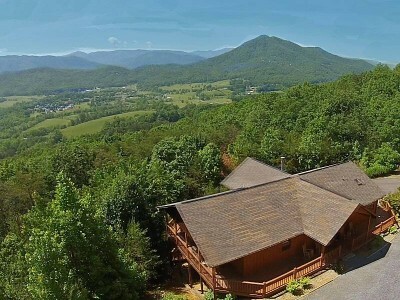 Experience the "Quiet Side of the Smokies"
Donn and Margaret, the owners, have got to be the nicest and most accommodating people I have ever had the pleasure of working with. Since the weather was bad during our visit, Donn called the day we were due to arrive, to ensure that we new what the weather would be like and that we had what we needed to get to the cabin and enjoy our visit. They had the driveway salted just before our arrival which made the commute up and down the mountain a total breeze. This cabin is absolutely breathtaking!! It starts with a beautiful drive up a very well maintained paved road to a private driveway, which is also paved and well maintained. Entering the cabin, immediately takes you to another, more peaceful place. The views are second to none no matter which angle you take from the 360 degree porch. 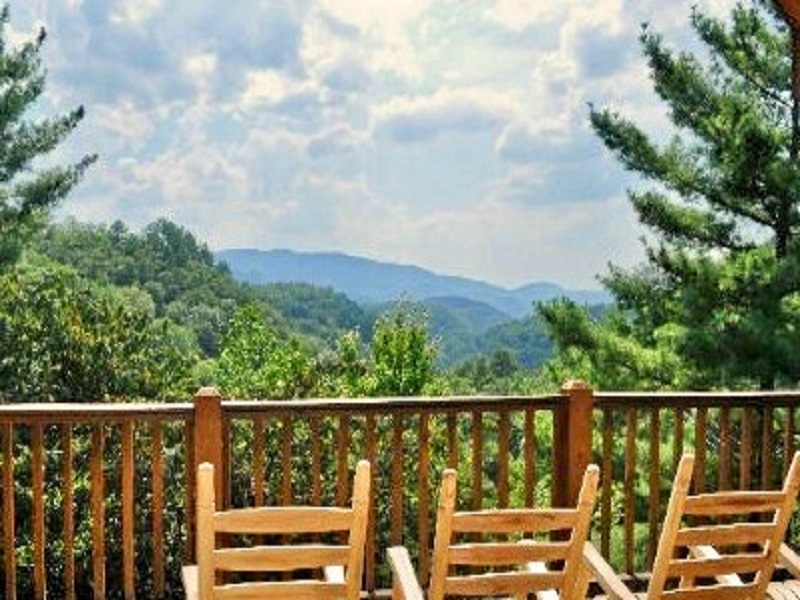 Golden View Lodge is filled with all the comforts of a luxurious home. The mountain themed furnishings are modern and comfortable, providing total serenity. It is perfect for family gatherings, reunions of any type, or a romantic getaway for 2. We stayed for 4 nights and did not want to leave. In fact, many of the activities we had planned, were passed up for more time in the cabin. The pool table, hot tub and second kitchen on the lower level were a big hit during our stay. The cabin’s kitchen is extremely well stocked, which actually encouraged me to cook so that I could use some of the kitchen tools that were unfamiliar to me. 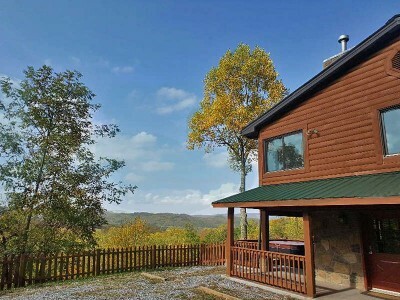 The cabin is located in a central, but secluded location which makes it easy to get to and from area attractions. 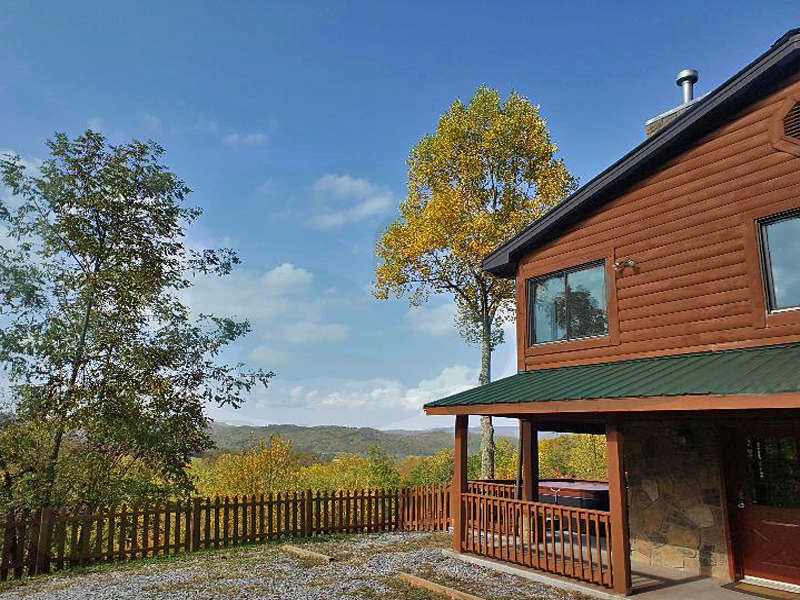 This cabin is 100% as advertised and you won’t be disappointed. We have already planned to return next year!